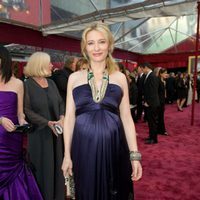 Cate Blanchett was born in Melbourne in May 1969. The daughter of an American policeman and a teacher. In high school Methodist Ladies College in Melbourne was where he made his first steps in the art world by participating in several plays. He started the career of Economics and Fine Arts at the University of Melbourne, but left shortly after starting. After leaving so must the United Kingdom ended in Cairo, where he was offered to do an extra in a movie. After the experience he decided to pursue acting and returned to Sydney to study at the National Institute of Dramatic Art. He was slowly making its way into Australia with films like 'Police Rescue "or series like' Heartland '. Her first starring role was in 'Oscar and Lucinda'. Throughout his career highlights its role as Elizabeth I in 'Elizabeth', which catapulted her to fame. She was nominated for an Oscar for his role. He also participated in the legendary trilogy 'The Lord of the Rings' as the Lady Galadriel. In 2005 came the time when he won the Oscar for Best Supporting Actress for her role in 'The Aviator'. In 2014 he won the statuette for best actress for her role in "Blue Jasmine". 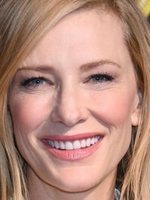 Cate Blanchett has been active for 22 years, participating in 44 movies that average a 7.5/10 score. She's one of five actors who have received an Oscar nomination for playing the same role in two films. She's the only actress who has received two Oscar nominations for playing the same role in two different films. Her father was an American police officer who later worked as an advertising executive in Australia and her mother was a schoolteacher.